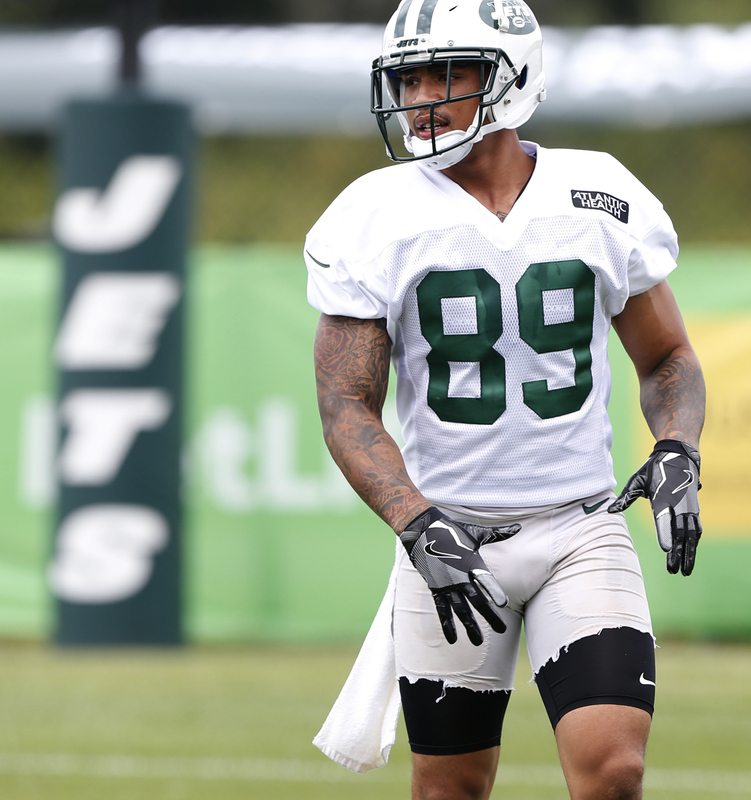 Jalin Marshall‘s four-game suspension for a PED policy violation ended, but the Jets look to be going in a different direction. The Jets waived the second-year wide receiver on Saturday, Field Yates of ESPN.com tweets. And the team announced the move, which ends what turned out to be a short era for the 2016 UDFA with the Jets. New York replaced Marshall on the 53-man roster with cornerback Xavier Coleman, a practice squad promotion. This comes five days after the team activated Marshall and cut cornerback Marcus Williams, upon whom the team placed a second-round RFA tender. Marshall worked as a rotational receiver for the Jets as a rookie but was expected to take on a bigger role going into this season, with Gang Green having released Brandon Marshall and Eric Decker. But the PED suspension intervened, and the Jets now have Jermaine Kearse and Jeremy Kerley in addition to multiple mid-round draft rookies at the position. Kerley has helped the Jets fill Marshall’s special teams roles. The Ohio State product worked as both a kick- and punt-return specialist last season.